Standards exist because they give us all a common ground. Ignore standards at your peril. For example, you can travel anywhere in the United States and still plug in your electronics without a voltage adapter because we settled on a standard early on. If not, every regional power company would operate at different voltages. In this scenario, the only person that benefits is the guy making voltage adapters. Everyone agrees that would be a mess. Just because something comes along that looks, smells, tastes and sounds better doesn't mean it will win, especially when it's going head-to-head with an entrenched standard. Right now some pundits are touting that Intel's new Light Peak technology will replace the standardized USB. Don't count on it. 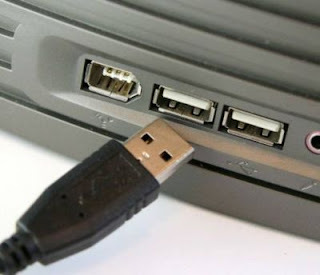 For one, USB is well entrenched and universally accepted -- everyone has some gadget that connects via USB. Another reason why it won't happen is Light Peak doesn't transmit electrical power meaning we'd have to go back to two cables -- one for data, another for power. I have enough damn cables, thank you very much. I don't want more. The point is don't ignore standards. If you want to replace a standard then you must do everything the old standard did, and then you need to do it better. Light Peak may be 2 times faster than USB 3.0, but it only offers half the functionality. Don't expect it to become the new standard. Standards add value by giving us a common platform. No matter how much better the new way is of doing things, it won't be able to overcome a deeply embedded standard. Avoid getting involved with new technologies that compete with well established standards, especially when they aren't completely superior.